With four decades under their belts, Garrison Keillor and his crew have gotten pretty good at making live radio. But when it all started — the first live A Prairie Home Companion aired July 6, 1974 — there was a lot to learn. From the opening notes of the first live broadcast on St. Paul's Macalester College, it was clear that A Prairie Home Companion was a work in progress. It was plagued with technical problems: For more than five minutes during an interview with former WCCO radio announcer Bob DeHaven, Keillor's microphone wasn't working. "Backstage, the audio crew was a bit frantic and totally unprepared," said Margaret Moos Pick, who became producer after the first few shows, and served for 10 years. "There wasn't an extra pair of headphones for me to listen to the show as it was going down on the radio. While the show was rolling out, I didn't hear any of that dead air — and there was a lot of dead air." There was a live audience out there in that college concert hall, but a pretty small one. "People just didn't know about it, and if they had heard about it, they didn't know how to find this concert hall on the Macalester campus," Pick said. On that first Saturday evening show, Keillor, then 31, paid tribute to the broadcasters he had listened to as a child, including DeHaven, the host of "Good Neighbor Time," which was the last regularly scheduled live music show on Twin Cities radio. Ernie Garven, who played accordion in the Good Neighbor Time band, was also a guest. Garven arrived late and wasn't quite ready to play when he was introduced. Another guest on that first show: Opera tenor Vern Sutton. "(Keillor) called me up and said, 'I'm thinking of doing this live radio show based on the Grand Ole Opry in combination with the Bell Telephone Hour,'" Sutton recalled. "And he said, 'I was hoping you would put your career on the line and come join us and be the class act.'" Sutton said that, in the first few years of the show, Keillor would sometimes call him on a Friday night to ask if he could appear on a Saturday show. Sutton could perform any number he wanted. "We never rehearsed them," he said. "We never timed them. I just went on and did them." Early shows may have been loose, but Keillor clearly had an ambitious vision for what A Prairie Home Companion would grow into. 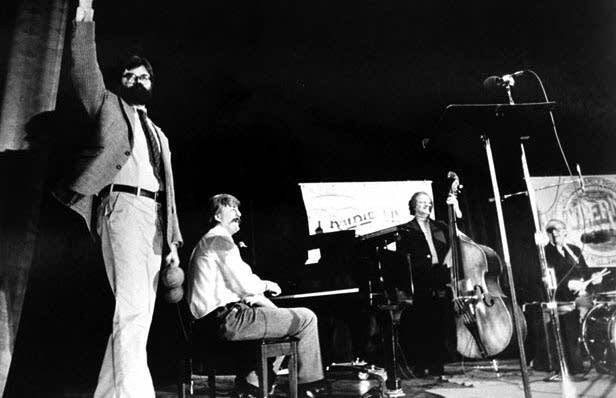 "You can't just have 90 minutes of pleasant family entertainment," Keillor said during that first show in 1974. "It's gotta be great or it's nothing." The first airing of A Prairie Home Companion is a landmark. But it wasn't Keillor's first gig, of course. Minnesota Public Radio founder and longtime CEO Bill Kling recalled that Keillor first tried live music performances during his studio-based morning program. "He had a cowboy singer who sang 'Old Shep,'" Kling said. "He had a glass harmonica player, which is basically somebody who is rubbing wine glasses and getting shrieking sounds out of them. To wake up to that at six in the morning, I didn't find very exciting. I suggested that maybe it was a weekend program and maybe later in the weekend, like Saturday night." Garrison Keillor will host A Prairie Home Companion this Saturday in St. Paul. After a few months on the road, he'll retire as host and pass the torch to musician Chris Thile.